Guzzle your French vintages now, because in a a generation they could be no more. Bloggers like Jules will have to tent themselves if they want to cross the Channel to visit - but why visit if there is no wine? The Anglican leadership (LSP's bosses) at Lambeth Palace will have to get their sacramental wine from California instead of Bordeaux. Of course, by then the politically correct UK may be part of caliphate too. Pubs will be turned into prayer rooms and Christian churches will be turned into mosques. The call of the muezzin (which one can hear in London now) will be blasted from John-o-Groats to Land's End in triumph. The Archbishop will be replaced by a Grand Mufti. California and its robust wine industry has been cheering on the Muslim occupation of Europe and now we may know why. It makes more sense when you look at it from this perspective, doesn't it? 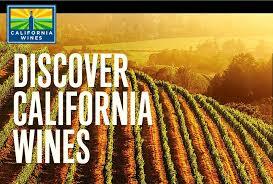 Yes, the California wine industry may have something to cheer about with all of Europe under Muslim occupation. People will be toasting and saying "Aloha Snackbar" from Napa to Sonoma counties. Continuing with the Washington Times article. Abortions in France have surged in recent decades. Government statistics show that 204,000 abortions were performed in 2015 compared with 760,421 live births. Across Europe, there are signs of the coming Muslim majority. Muslims make up nearly 50 percent of primary school children in the Belgian port city of Antwerp. A quarter of Brussels’ 1 million population is of Muslim origin. The Daily Mail, citing the Office of National Statistics, reported that the most popular boy’s name in Britain in 2015 was Mohammed or its variant spellings. Or maybe Europe will fight back?